Smooth. Clever. Hilarious. These words are often used to describe Sam Adams as a comedian, public speaker and Master of Ceremonies. In 2001, he stepped in front of a microphone to perform stand-up comedy for the first time – at age 41. 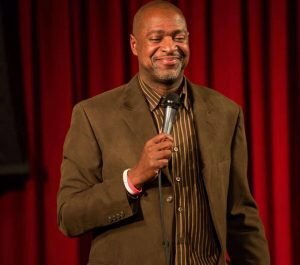 Eight years later, the former award-winning sports journalist was inspired to start a full-time career in entertainment after winning at the 2009 Great American Comedy Festival. Sam is a regular at Denver’s Comedy Works.